Round 2 of A Plus Labour Solutions Division 2 looms as an important round as sides aim to separate themselves from the pack ahead of the Easter break. Whittlesea hosts Diamond Creek with both sides fresh off Round 1 victories and looking to maintain an unbeaten start to 2019. 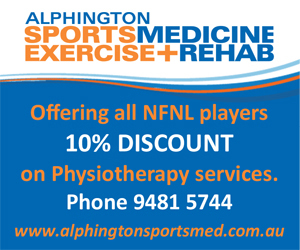 The Eagles made a big statement in their return to A Plus Labour Solutions Division 2, scoring a 91-point win from their trip to Epping. Leading from the outset, the Eagles extended their advantage at every change, before finishing the game with a 10-goal final term. The result stamped their credentials as one of the favourites in this year’s premiership race. Four-goal hauls from Jaron Murphy and 17-year-old recruit Samuel Indian were keys to the big win, while Nathan Stefanile and Xavier Dimasi were named among the Eagles’ best. Dimasi polled nine votes in the Coaches MVP award – the most of any player in the division. 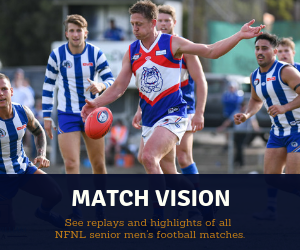 Diamond Creek also tasted success on the road against the Fitzroy Stars, nabbing a 14-point win at Sir Douglas Nicholls Oval in a game where both sides were evenly matched for the majority. The Creekers booted the final three goals of the first quarter to take a 15-point advantage into quarter-time break. 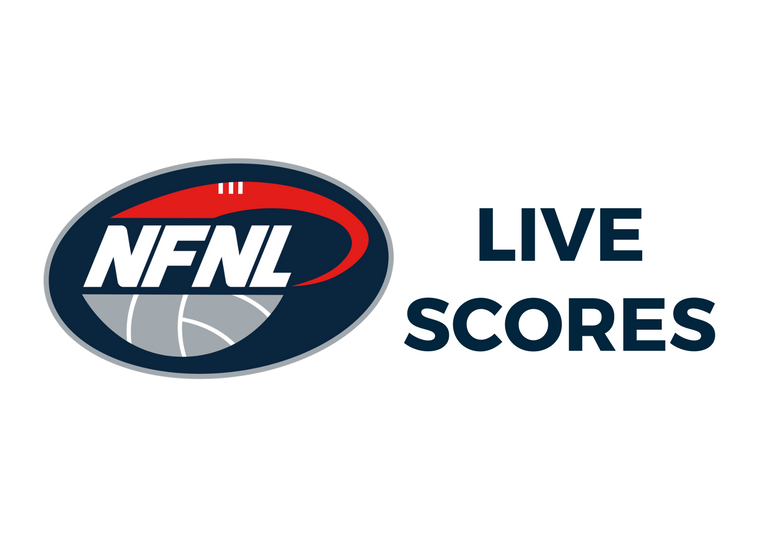 The margin remained the same at both half time and three-quarter time, before the Creekers held out a late charge from the home side to start the year with a win. 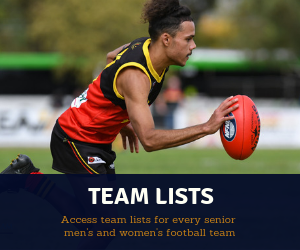 Diamond Creek was well served by Nathan Searl, who kicked an equal round-high five majors, while James Marchbank and Tom Bennett featured in the best players in their first games for the club. Unfortunately, Bennett suffered an arm injury late in the game and is unlikely to play this week, however star ruckman Josh Marchbank is due to return after missing the opening round win. St Mary’s tackles Thomastown at Whatmough Park where both sides will be looking to register their first win for the 2019 season. 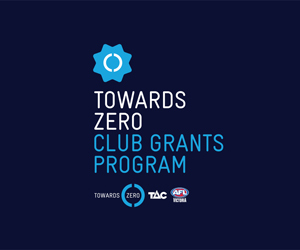 The Burra will unfurl their first senior premiership flag prior to the first bounce. St Mary’s played its first ever A Plus Labour Solutions Division 2 match last week after earning promotion from Heidelberg Golf Club Division 3, however the Burra couldn’t start their new venture with a win, falling to Watsonia by 32 points. 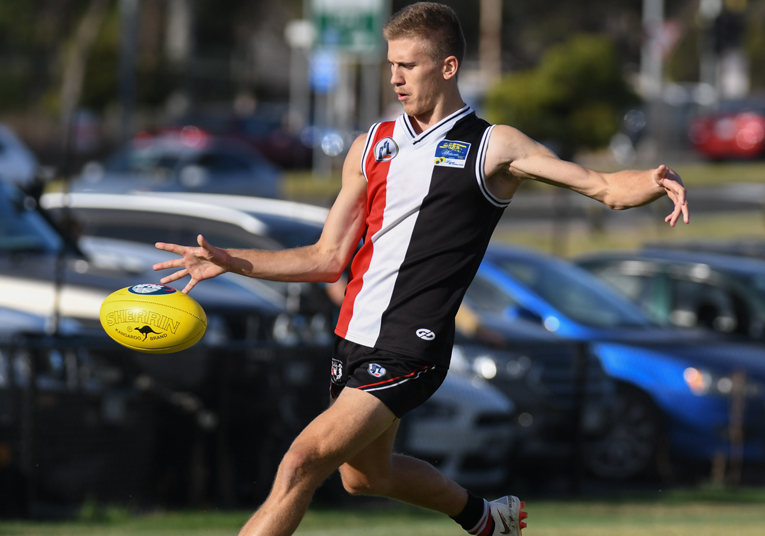 The Burra took time to adapt to the higher level, gifting the Saints a four-goal head start, however they were able to claw their way back into the game and reduced the deficit to just 12 points at three-quarter time. It was as close as they would get, with Watsonia piling on five of the last six goals to consign St Mary’s to its first defeat since Round 5 last year – with a knee injury to forward Myles Guldon adding to the Burra’s pain. The positives came in the form of a four-goal haul from Jacob Yeomans and strong showings from youngsters Thomas Cantwell and Mitchell Green. Cantwell polled eight votes in the Coaches MVP voting – the most of any player on the ground in his senior debut. 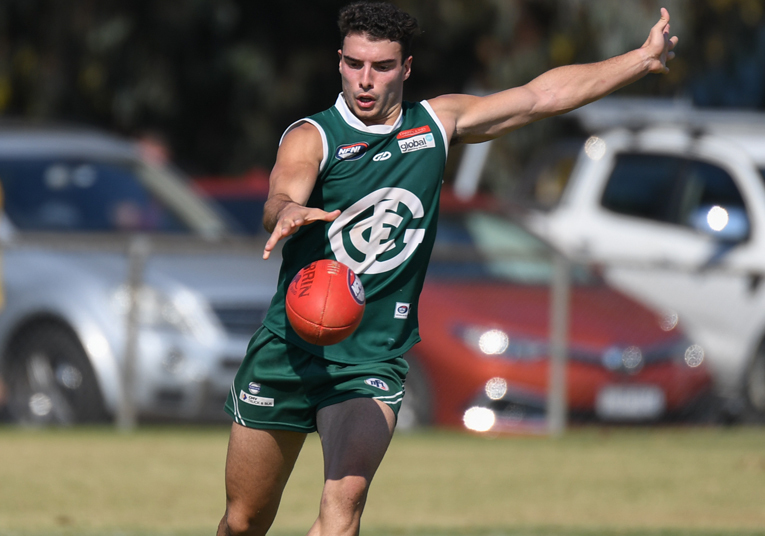 Thomastown suffered a similar fate, losing to Eltham by 47 points following a disappointing showing at Main Street Reserve. The Bears fell four goals behind in the opening term and never truly recovered. 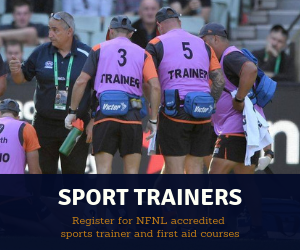 It was a rude awakening to start the 2019 season, with the Bears considered one of the sides in the premiership hunt following a successful recruiting period and a finals appearance in 2018. Daniel Chadwick and Joseph Vaccaro were shining lights, whilst Anthony Capeci was their only multiple goal scorer with two majors. Epping and Watsonia go head-to-head at Epping Recreation Reserve in what looks set to be an enticing encounter. 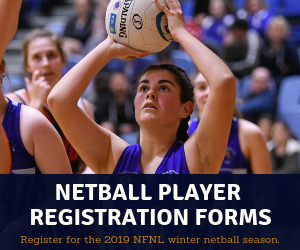 The home side is looking to open its account in 2019, while Watsonia is on the hunt for a 2-0 start after winning just once last year. The Blues faced a difficult task in hosting Whittlesea last weekend and were no match for the Eagles. Trailing by 28 points at half time, they managed just two goals after half time in a big loss. Leigh Judd picked up where he left on in 2018 and was his side’s best in his first game as captain, while Dallyce Taylor and Joel Carter also played well. Recruit Thomas Burnside showed good signs and kicked two goals. Watsonia began life under new coach George Lattouf in a positive manner, with a fast start and equally impressive final term the catalyst for a solid triumph over St Mary’s at A.K. Lines Reserve. 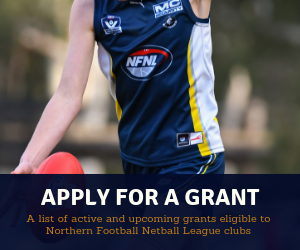 The result ensured retiring champ Matt Crompton finished his career in winning fashion – with the 2016 premiership captain and Division 3 best and fairest winner hanging up the boots to focus on work commitments. 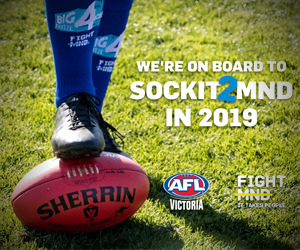 Adrian Alfonsi was a force up forward, kicking four goals in his first game since Round 1 last year, while Michael Perfetto, Kyle Kemp, and Daniel Watson starred to ensure a successful beginning to their side’s 2019 campaign. Banyule makes a delayed start to the 2019 season when it hosts Eltham at R.J. Brockwell Oval. The twilight fixture, beginning at 4:10pm, is expected to draw a large crowd with the match featuring two of this year’s leading contenders. 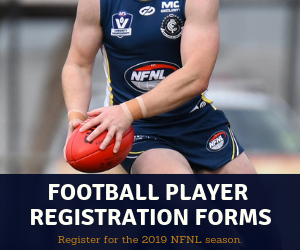 Under new coach Paul Harris, last year’s preliminary finalist has recruited well in the off-season, with Macleod utility Jack Langford, Sandhurst ruckman Tim Martin and former Bundoora playing-coach Ricky Dyson all joining in the summer. While finals aren’t won in April, the Bears will be keen to make an early statement against last year’s runner-up – who they in fact beat in their most recent encounter. 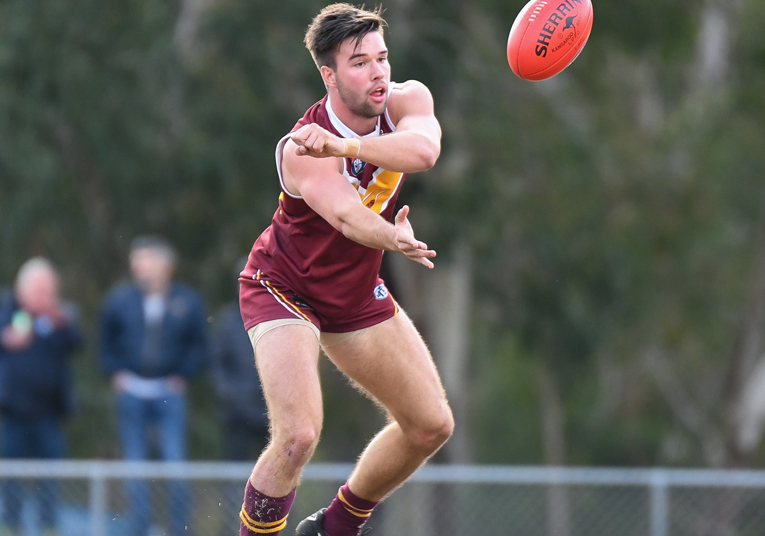 Eltham started its redemption season with a convincing 47-point win over Thomastown, despite the absence of a host of key players, including Tim and Paul Currie. 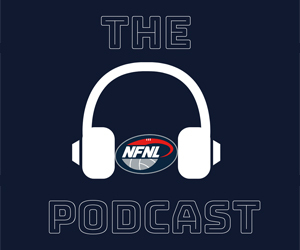 Eager to atone for their shock Grand Final defeat last season, the Panthers burst out of the blocks with the opening four goals, before extending their advantage throughout the game. Nicholas Reibelt produced an exceptional debut and was named the best player on the ground – picking up eight votes from the coaches. Matthew Keys held the fort in defence as the Panthers conceded just seven goals, Michael Still booted five majors and was a strong presence in the air, while Brent Macaffer and Anton Woods found plenty of the ball. A win this week would be make for an outstanding start to the season for the Panthers given they have started the season with consecutive away games against sides who appear to be right in the premiership hunt.